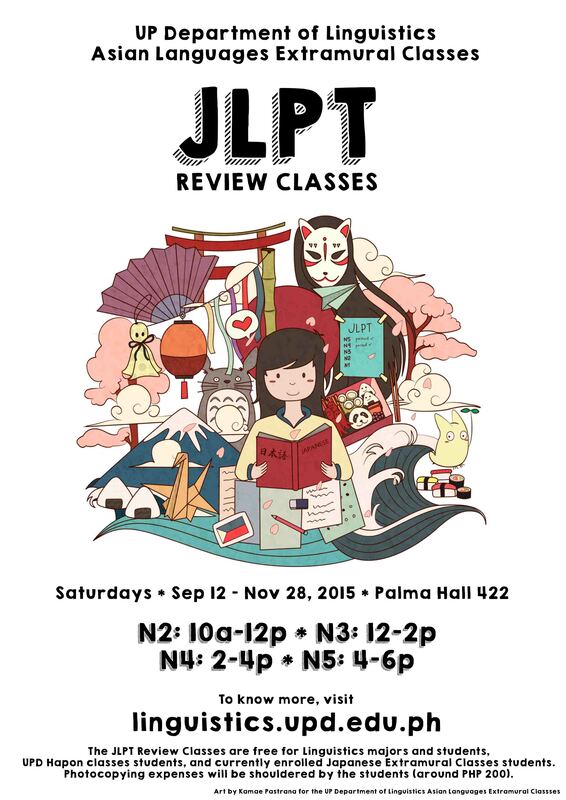 These classes are FREE (photocopying expenses will be shouldered by the student – around Php 200) for currently enrolled Linguistics, Hapon, and Japanese Module (Sep – Nov 2015 Cycle) students and Linguistics alumni. Please use the online registration form at https://goo.gl/OPWvIb . Registration is Php 3,500 (inclusive of materials) for other students. Payment slip is the same as the extramural classes’ and may be downloaded from the EXTRAMURAL CLASSES page.